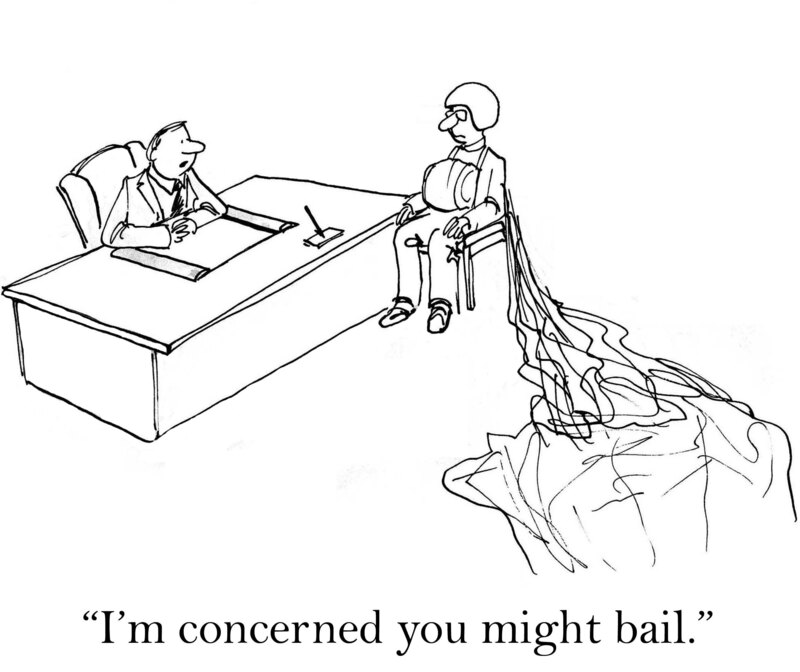 Legal Bullying – a New Barrier for Innovation? “I own you!” Luckily the majority of corporations and managers no longer treat their employees like this, but there are still a few bad eggs out there. One area in which this attitude can surface is when an innovation worker takes a new job. An employee’s right to change jobs and a company’s right to protect its secrets collide in an area of law called “restraints on trade”. Properly drafted and used responsibly, non-compete agreements, confidentiality agreements and the doctrine of inevitable disclosure are appropriate legal restraints on employment to protect employers’ proprietary and confidential information. But improperly drafted restraints and their misuse not only affect an individual’s ability to work in their chosen profession, they also hinder innovation in the market place. Increasing Worker Mobility and Restraints on Employment …As the average number of years employees spend in one job continues to shrink, the role of restraints in the employment relationship will also change, but initially it is likely that abuses will increase as some corporate managers cling to the old model of employment. Employees now spend only 4.6 years on average with an employer before moving on to their next job [1,2]. And ninety one percent of Millennials expect to stay in their jobs for less than 3 years . Additionally, the average person will go through approximately seven career changes in a lifetime. Legal topics are not often discussed in my blog although occasionally I come across a legal issue which affects innovation. For example, in a previous post I discussed whether patents are an incentive or hindrance for innovation . In this post I’ll discuss confidentiality and non-compete agreements as well as other legal concepts that can negatively affect both your ability to move to a new job in the same industry and the big picture of innovation. Even if you don’t really care about how these agreements hinder innovation, an encounter with a corporate bully or a broad non-compete can have dramatic consequences for your personal career. Quick Primer on how you can be restrained from pursuing your Career …Confidentiality Agreements and non-disclosure agreements (NDA) create a confidential relationship between the employee and employer to protect defined types of confidential or proprietary information or trade secrets. These agreements are commonly used. New employees, consultants and contractors typically all sign them before they start work with an employer, especially in knowledge based industries. They are drafted by the employer and are basically non-negotiable conditions of employment for the average R&D worker. 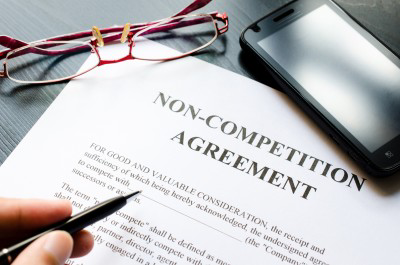 Non-Compete Agreements usually restrict the employee from entering or starting a similar profession or trade in competition against the employer for a certain amount of time and across a defined geographical area. These agreements are much more contentious than confidentiality agreements when they are overly broad, or do not appropriately compensate the employee from engaging in their profession, and their use is becoming more widespread . As an example of an extreme case, even sandwich makers at Jimmy John’s Gourmet Sandwiches are being asked to sign them. One of the major issues is that an overbroad non-compete agreement may prevent an employee from working in their chosen profession after they leave their current employer [6,7]. This is a scenario that very few people understand when they might inadvertently sign an overbroad non-compete agreement and like the confidentiality agreement, they are drafted by the employer and are basically non-negotiable for the average R&D worker. Overbroad non-compete agreements have been held to be unenforceable but the extent of enforceability varies State by State. Few R&D workers would want to be involved in defending a law suit to continue working in their industry and in their area of expertise, so be very careful signing these agreements, especially if you work for a large corporation with unlimited resources for legal enforcement. Even if you are likely to prevail in the end, your previous employer calculates that you will be deterred by the disruption to your career and personal life and that you will not have the stomach for litigation. Some companies even try to incorporate these agreements into severance packages when R&D workers are laid off. Before signing these packages make sure that you understand the non-compete parts of the agreement. In some cases it might make better sense to not take the severance package so that you can still work in your industry. Inevitable Disclosure is a principle of law that enables an employer to use trade secret law to stop a former employee from working in a job that would “inevitably” result in the use of trade secrets. Courts applying the inevitable disclosure doctrine to the benefit of the former employer issue an injunction prohibiting the employee from going to work for competitors. Employers have been known to use this tactic, even it is meritless, if an employee wants to leave and work with a competitor in a similar position but has not signed a non-compete agreement. Again the merits of the case are largely irrelevant as the legal process and money needed to defend an inevitable disclosure suit work to the corporate manager’s benefit – she/he has no personal stake in the litigation and has unlimited corporate funds to spend. On the other hand the average R&D worker will experience disruption to career and personal life. In the hands of the unethical, this makes it the perfect tool to bully the departing employee. 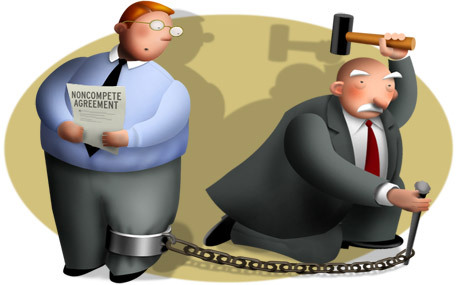 Corporate Misuse of Restraints on Future Employment …This occurs most commonly when corporate lawyers draft overly broad agreements or corporate managers use restraints to bully and intimidate departing employees. While the courts have grappled with balancing these conflicting interests by generally refusing to enforce overly broad agreements, the legal bullying that goes on behind closed doors is less well documented. The Exit Shakedown …An exit shakedown usually involves some form of legal bullying or intimidation perpetrated on the exiting employee to interfere with his/her right to work for another employer, even though the original employer’s proprietary information is not at risk. Who is likely to engage in this type of behavior? Perhaps it’s an old school manager who manages by intimidation or doesn’t understand how the employment market has changed since the “old days” or it may be an ineffective manager of innovation who mistakenly thinks that stifling employee movement will protect his/her own product pipeline from competition. And sometimes the shakedown is simply both an abuse of power and the legal system to avenge a personal agenda. What does the shakedown look like? Well it’s a little like a David and Goliath encounter which could range from an illegal inquisition about the employee’s future plans and threats of legal action behind closed doors, to actual legal action or even the manipulation of other employment contracts like a change of control plan. When the exit shakedown succeeds, R&D employees are prevented from working in jobs where they can use their skills; resources and money are wastefully diverted to legal representation (assuming the employee even has the stomach for a protracted legal action); and innovation suffers. Restrictions on Worker Mobility hinder Innovation …A robust, innovation-based economy depends on innovation workers being able to move from employer to employer as long as they don’t misuse trade secrets or proprietary information. When innovation workers take their personal knowledge, experience and expertise with them from company to company, new perspectives and ways of thinking emerge, and innovation blossoms. This cross-fertilization of innovation from mobile workers is necessary for an innovation-based economy. So moving from job to job as the economy changes and as people make lifestyle changes/career choices is good news for R&D innovation. R&D managers secure in their abilities to manage innovation understand the natural cross-fertilization of ideas that occurs when employees move between jobs and will reward performance to retain employees rather than rely on overly broad non-compete agreements or unfounded inevitable disclosure actions to hold an employee hostage. This manager also understands that there is reciprocity in mobility and that his own business will benefit from worker mobility. Silicon Valley …The importance of employee mobility for innovation is illustrated by the phenomenal success of Silicon Valley. California prevents firms from enforcing non-compete agreements and researchers found that this explains, in part, the high level of job changing in Silicon Valley’s computer industry. Silicon Valley’s greater employee mobility has been cited as the reason for its innovation successes relative to tech clusters in other states, such as the Route 128 cluster in Massachusetts. Whether this is correct or not, the mobility of knowledge workers in Silicon Valley is legendary. Many high-tech gurus jumped from company to company, often incorporating ideas initially sparked at one company into new ideas at another. For example both Steve Jobs and Bill Gates incorporated ideas originally discovered at Xerox’s PARC research facility into Macintosh computers and Windows operating systems. Summary …The increasing widespread use of non-compete agreements and proposed expanded Federal Trade Secret law will have a chilling effect on Innovation by inhibiting the mobility of skilled technical workers. The problem is highlighted by arbitrary enforcement, as well as their susceptibility to abuse and the whim of an individual manager. When employers have the mindset that they own the personal thoughts, skills and knowledge you accumulate when you worked for them, even if that entails making sandwiches, and they try to protect that by using non-compete agreements or other legal instruments it is hardly a good thing for innovation; in fact it seems to be the antithesis of innovation. The big picture is that your previous employer owns the trade secrets and proprietary information of your previous employment but not your personal thoughts and all the other “stuff” that’s in your head. Cross fertilization of ideas creates innovation and overly broad restraints or unscrupulous managers who use restraints for their own personal agendas inhibit innovation. Efforts to increase the scope of legal instruments to inhibit employee mobility and hence inhibit innovation should be strongly resisted as it will have an adverse effect on a modern innovation-based economy.